I know that many readers of Envato Tuts+ are from Indonesia, so I decided to create this tutorial using an Indonesian word. 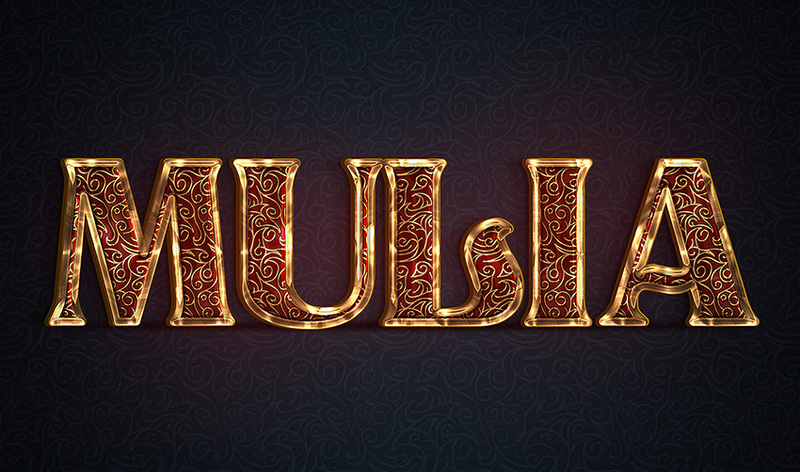 “Mulia” means “noble” in Indonesian, and I think that it works very well with the text effect that we are going to create. 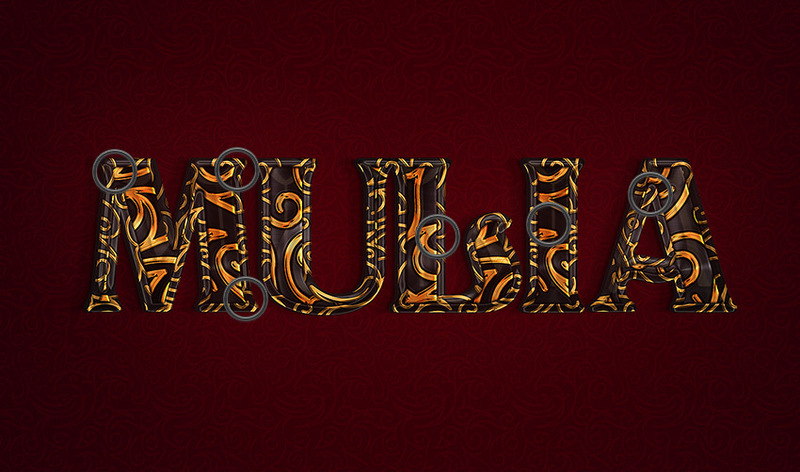 has 15 different text effects and works with shapes and text. 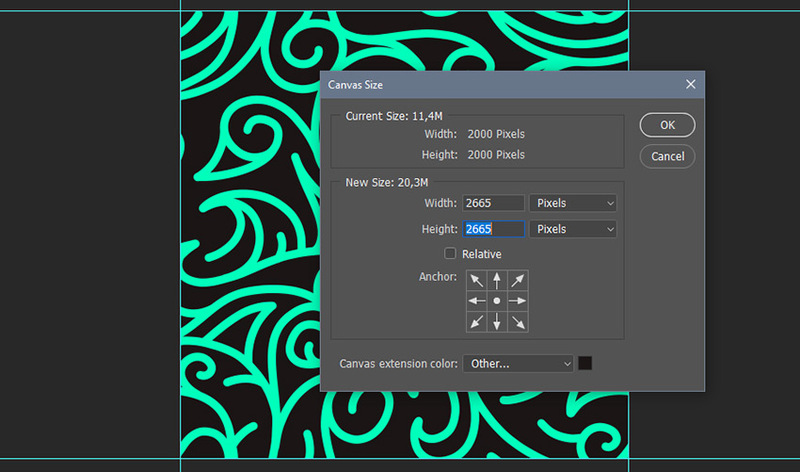 Create a new 2000 x 2000 px 300 dpi document and name it Ornamental Pattern. Press Shift-Backspace to open the Fill panel. Choose Color… and set the color to #1a1515. 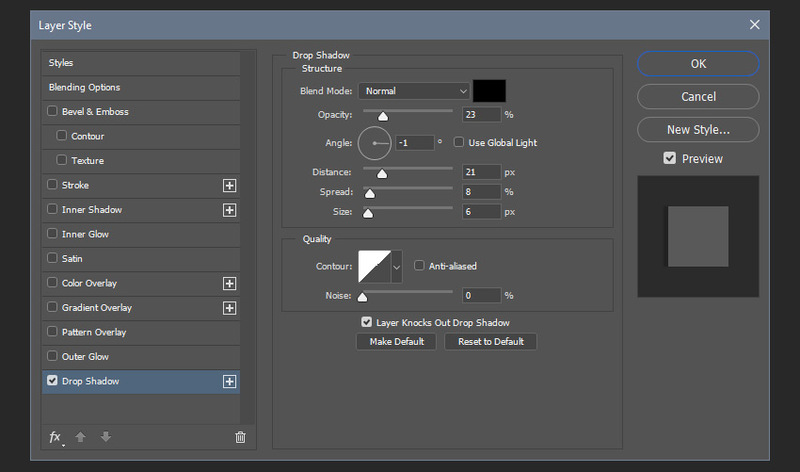 Press Control-Shift-N to create a new layer. 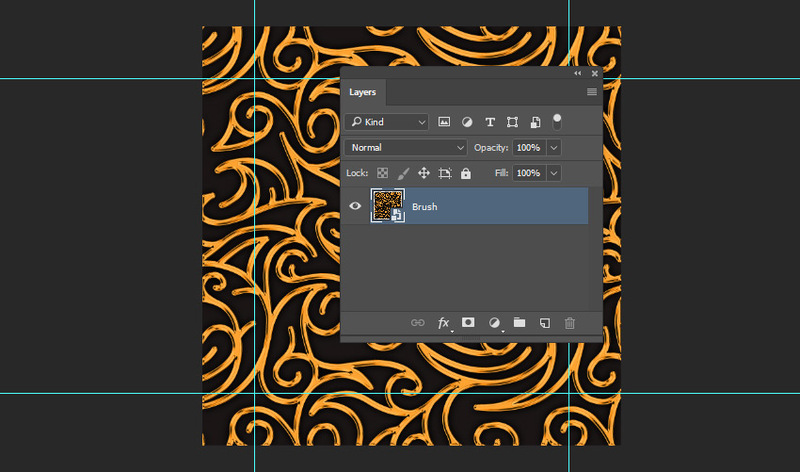 Name it Brush and click on OK.
Now starts the relaxing part (at least for me). 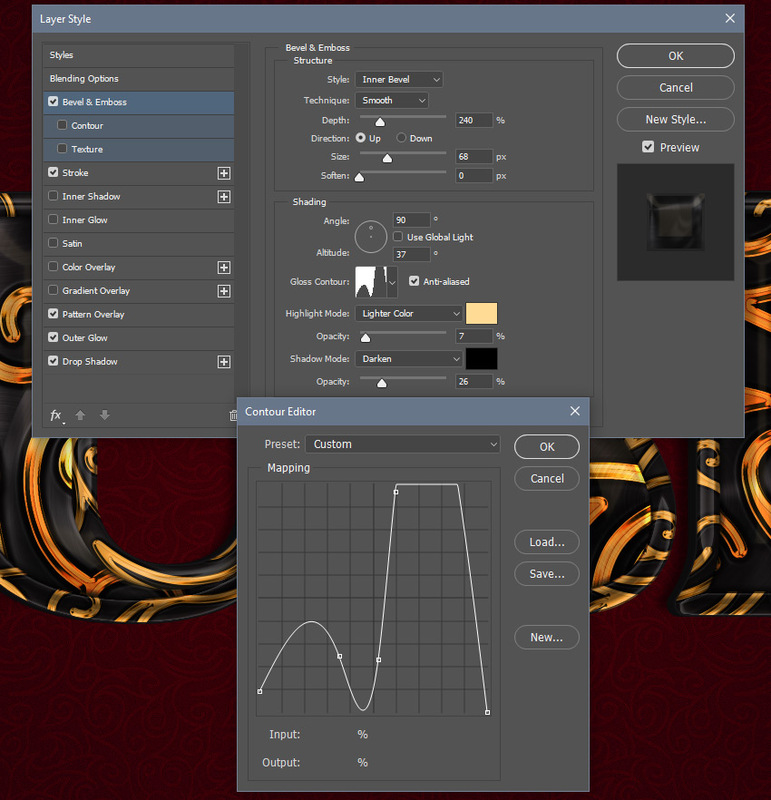 With the Brush Tool selected, choose a color that you like and start drawing some abstract curves. The secret here is to maintain a constant speed with the mouse, and try to maintain the same space between the lines. 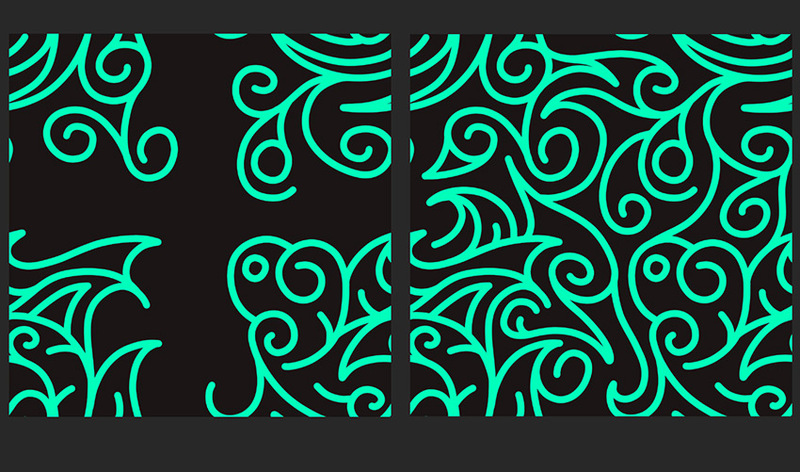 But it’s OK if you make some lines closer or farther than others; sometimes it looks better this way. Please do not touch the borders of the document while drawing; we will deal with that later. 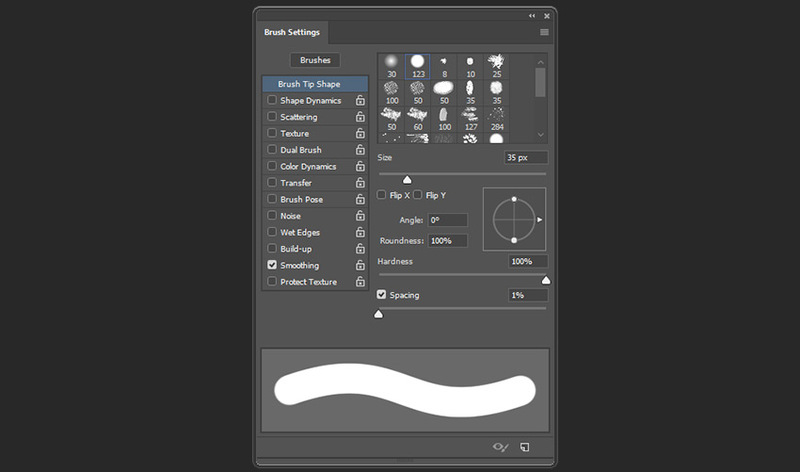 Don’t worry if you have shaky hands, because the 100% of smoothness on the Brush Tool will help you with that. Continue drawing the lines. If you don´t like the result, press Control-Z and try again. Take your time! Sometimes you will have to draw some branches. Remember to start the branch precisely from the middle of the previous line, so that your drawing will look smooth and natural. This is what I came up with. You can try to copy, but I don’t recommend that you do that. 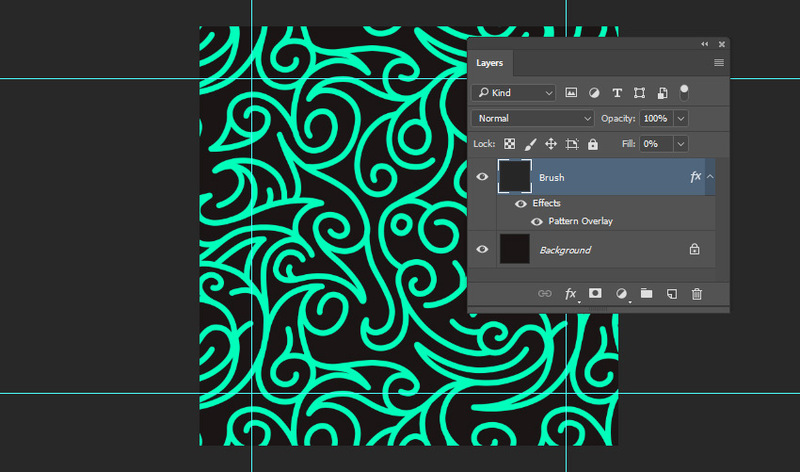 It’s important that you create your own pattern if you want to learn how to do it. 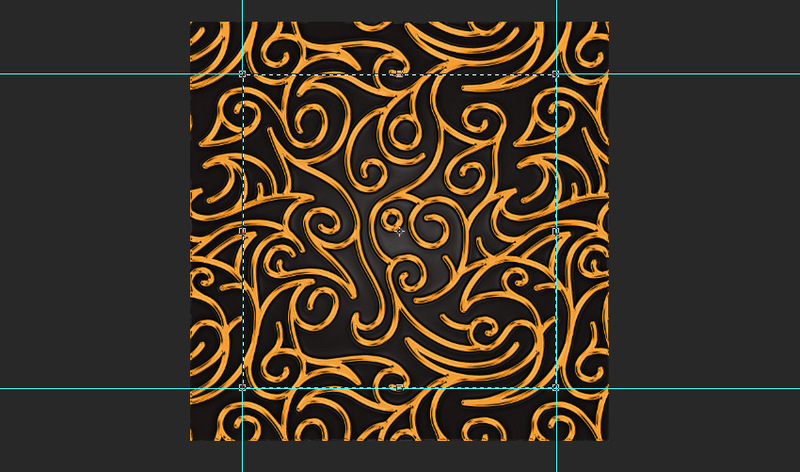 Now we’re going to make this pattern seamless using the Offset filter. 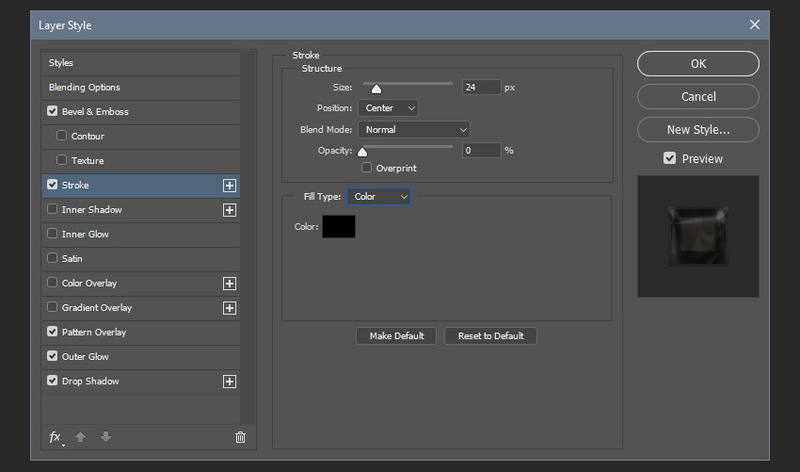 This filter can move the corners of the document to the center, making it a lot easier for you to complete the texture in a seamless way. 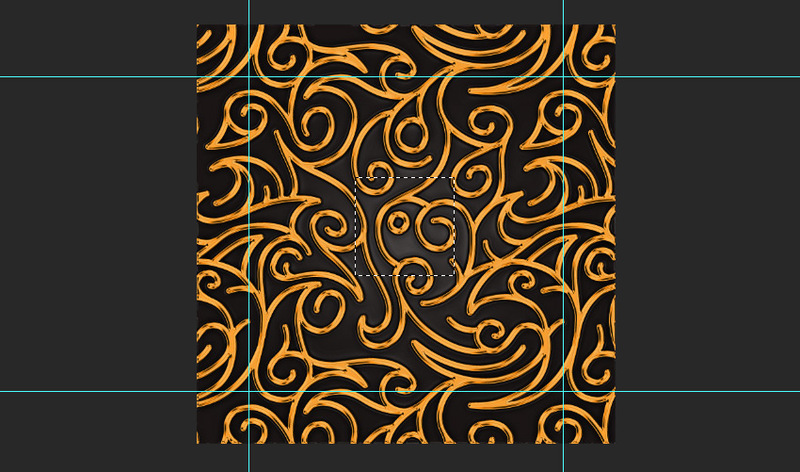 With the same brush settings that we used before, continue drawing more lines and filling the empty spaces. Remember to not touch the border of the document. In the next image, you can see how I did it. 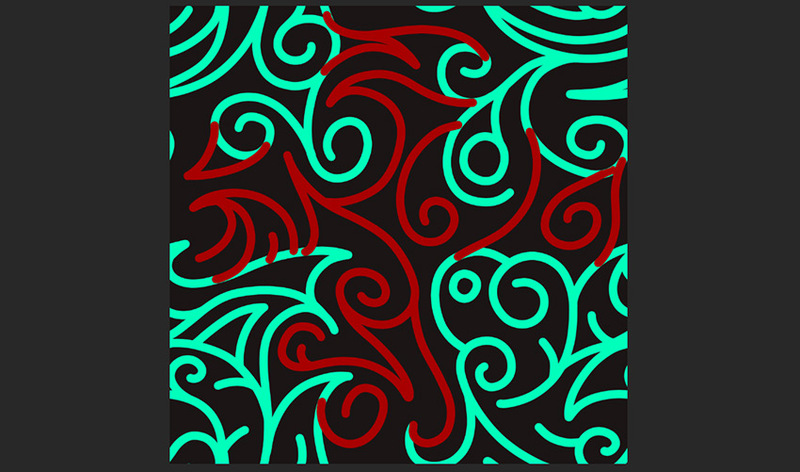 I changed the color to red, so you can see the new lines. 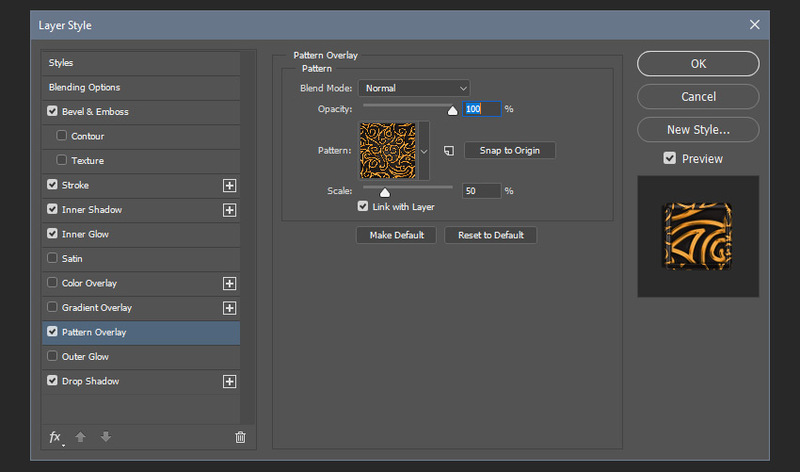 Now turn off the visibility of the background layer, and then go to Edit > Define Pattern and click OK.
Now activate the visibility of the background layer again. 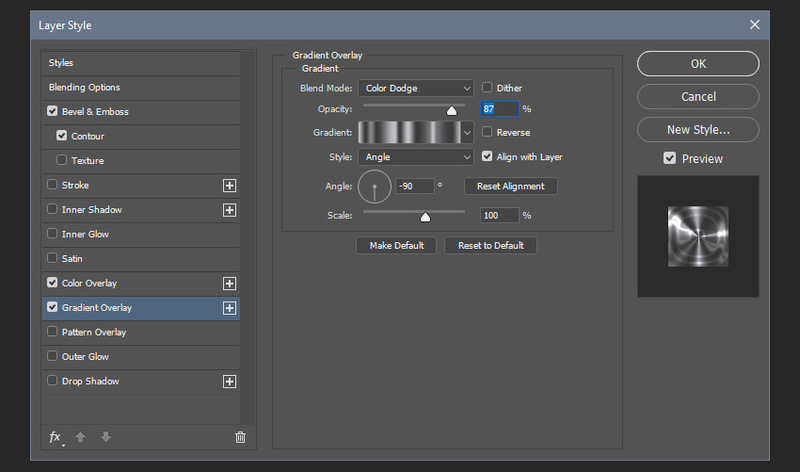 After that, press Control-R to activate the rulers in Photoshop. Then click on the rulers and drag four margins to the borders of the document. Note that we have a seamless texture inside the margins, so no matter where you move the pattern overlay, it will always be seamless. 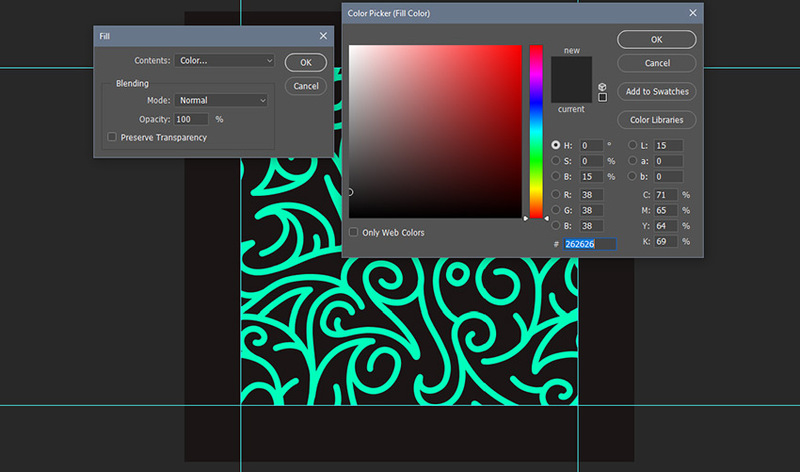 Now hold down the Control key and click on both layers (Brush and Background) to select them. 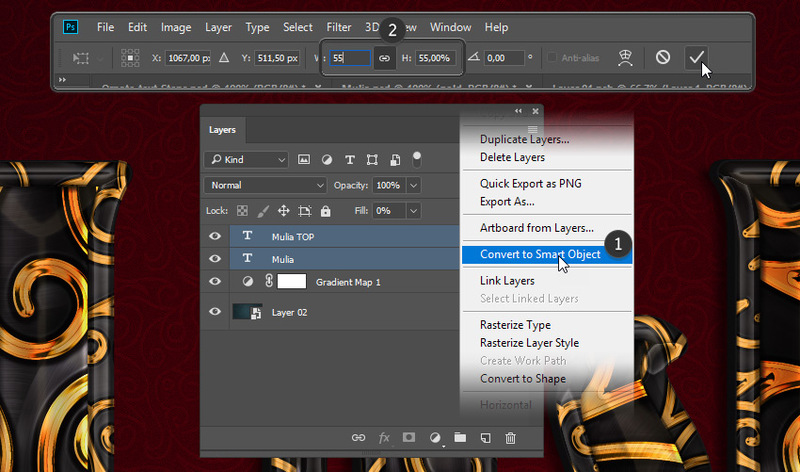 Then right-click on any layer and select Convert to Smart Object. Now pick the Rectangular Marquee Tool (M) and select a small square. 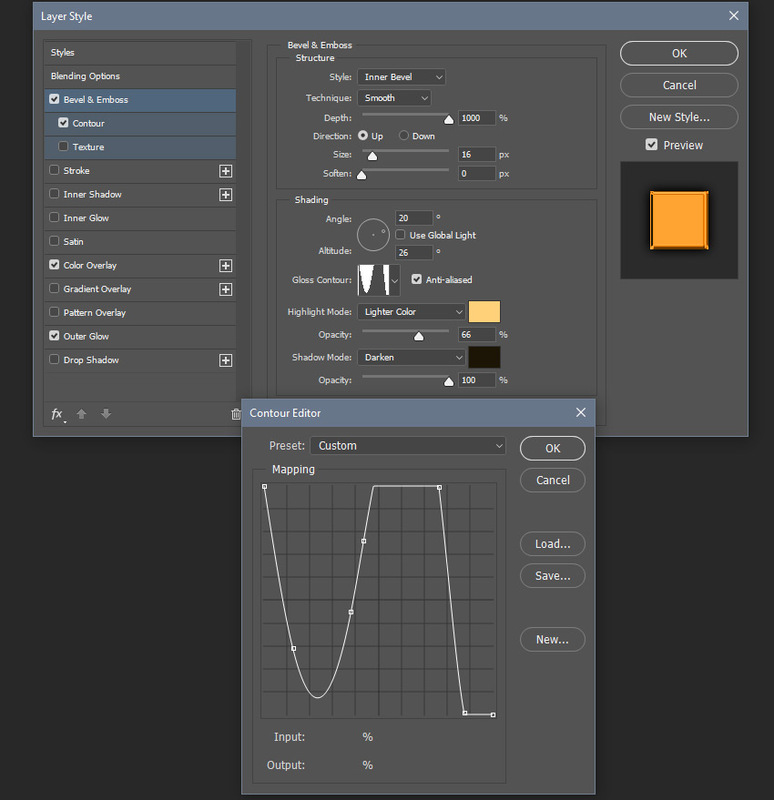 Right-Click on that selected square and select Transform Selection. Then scale up the selection to match the margins that we previously created. It has to be perfectly aligned with the margins. 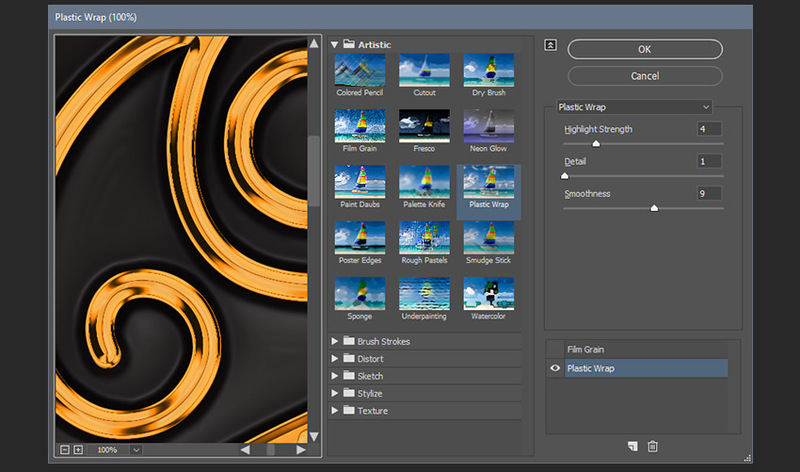 Now pick the Crop Tool (C) and press Enter twice to crop the image. 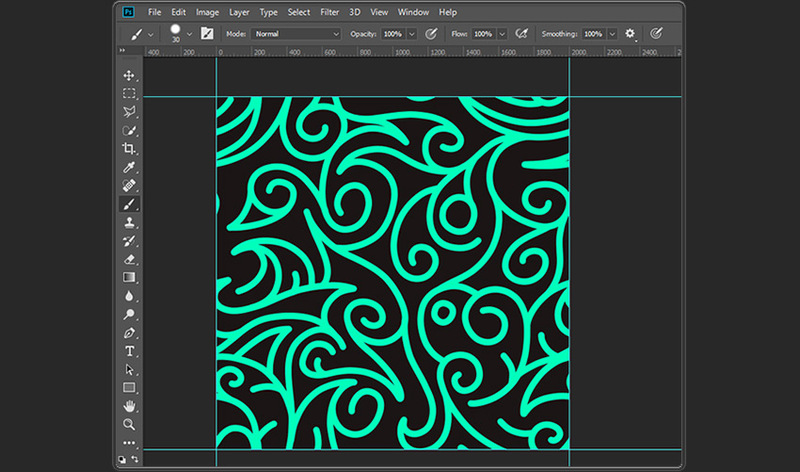 Then go to Edit > Define Pattern and name it Ornamental Pattern Final. You can close the document after doing that. Note that we first expanded the document size, and then we contracted it again. That was necessary because we don’t want the layer style being cut by the borders of the document. 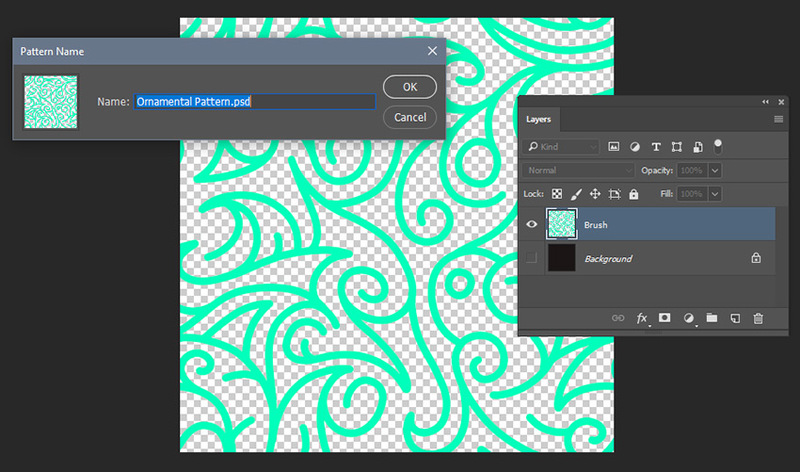 You can install the optional pattern (it is inside the zip file) and skip to “3. 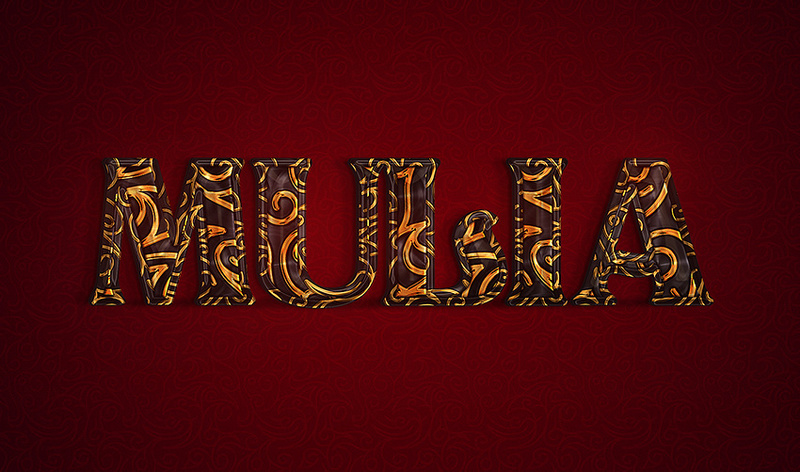 How to Create the Text Effect” if you don’t want to learn how to create the secondary pattern. 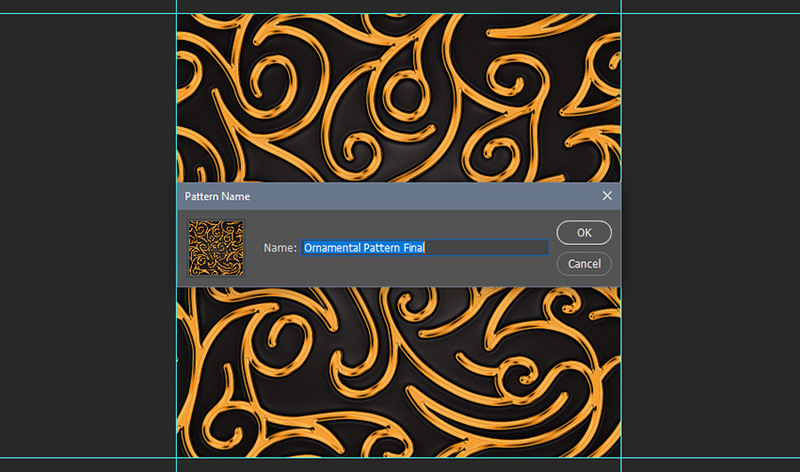 The secondary pattern is a radial metallic texture that goes on the top of the ornamental pattern. 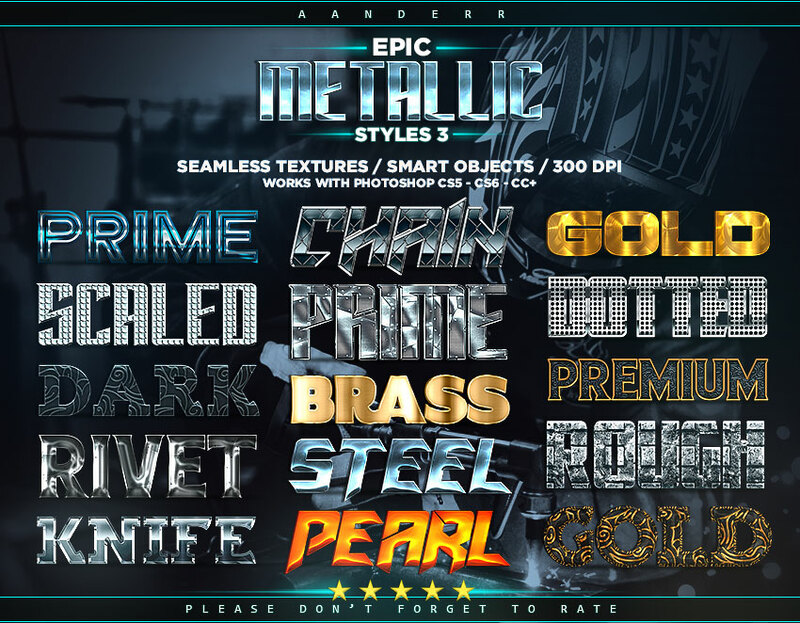 This texture is optional on the final text effect too. 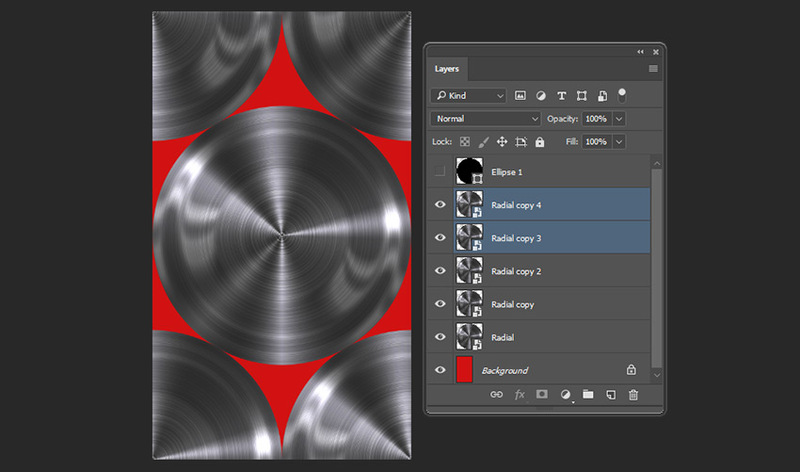 Create a new 980 x 1696 px 300 dpi document with a red background #d11212 and name it Radial Pattern. 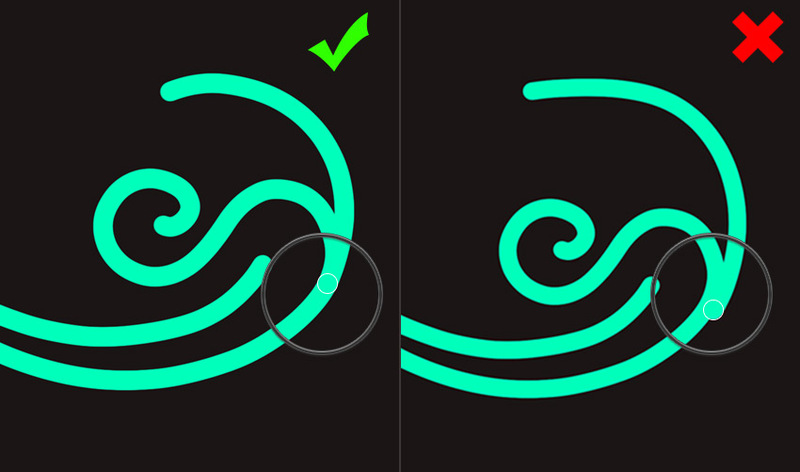 Then pick the Ellipse Tool (U) and set it to Shape mode. 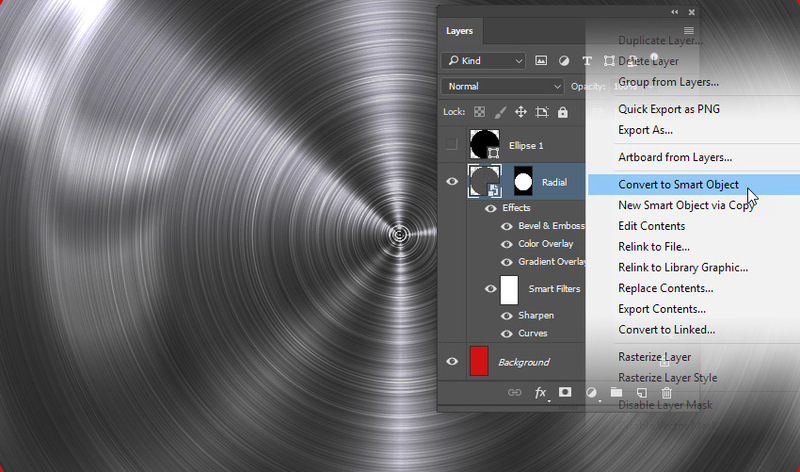 With the Ellipse Tool selected, click on the middle of the document and create a 980 x 980 px ellipse. 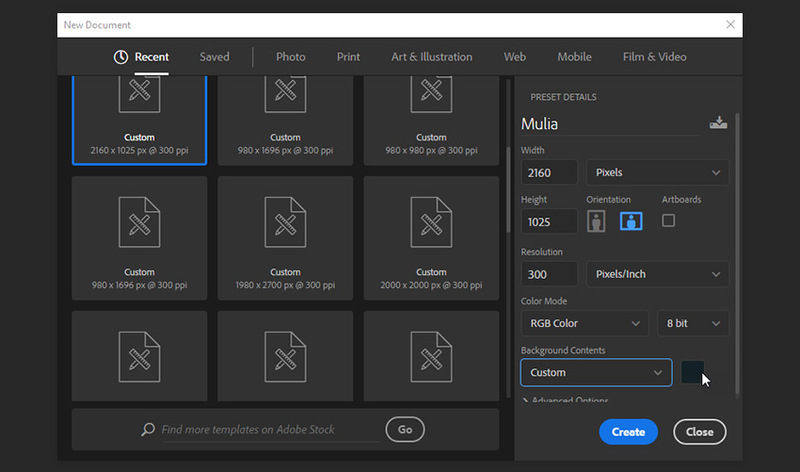 Press Control-A to select the entire document, and then pick the Move Tool (V) and click on Align Horizontal and Vertical Centers. This will place the ellipse exactly in the center of the document. 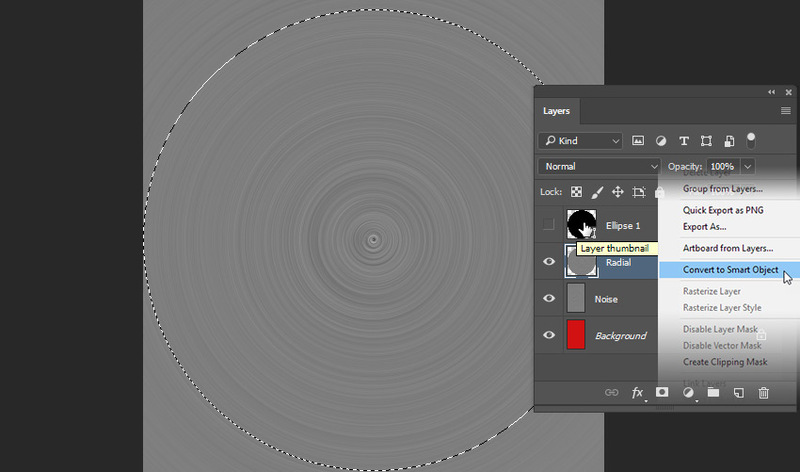 Turn off the visibility of the Ellipse layer and create a new layer called Noise. 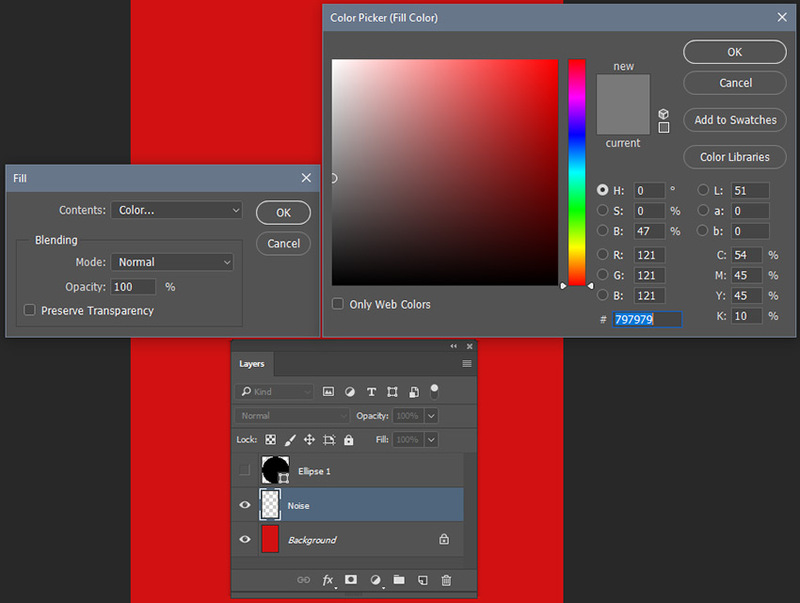 After that, press Control-Backspace and fill this layer with the color #797979. This color will help us when we start moving the radial shapes. We don’t want to see any red in the final texture. 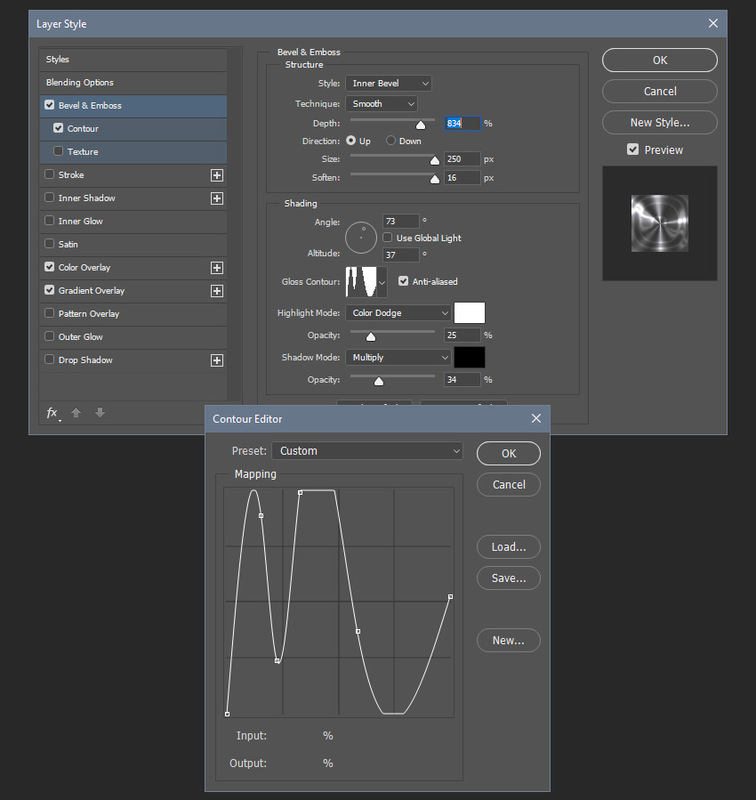 Press Alt-Control-F to apply the same radial blur again. 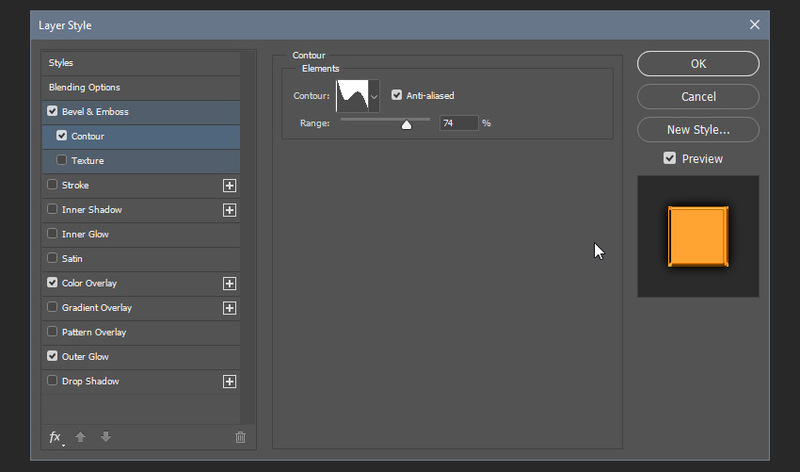 Then Control-Click on the thumbnail of the Ellipse layer to create a selection. 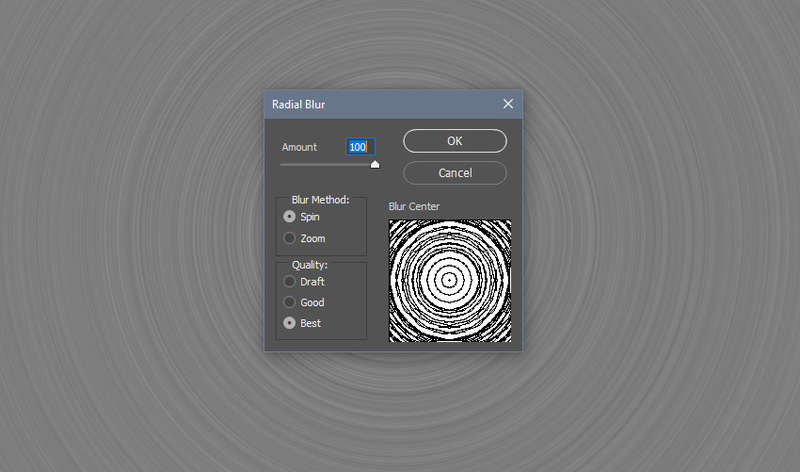 After that, press Control-C and Control-V to create a new layer, name this layer Radial, and convert it to a Smart Object. 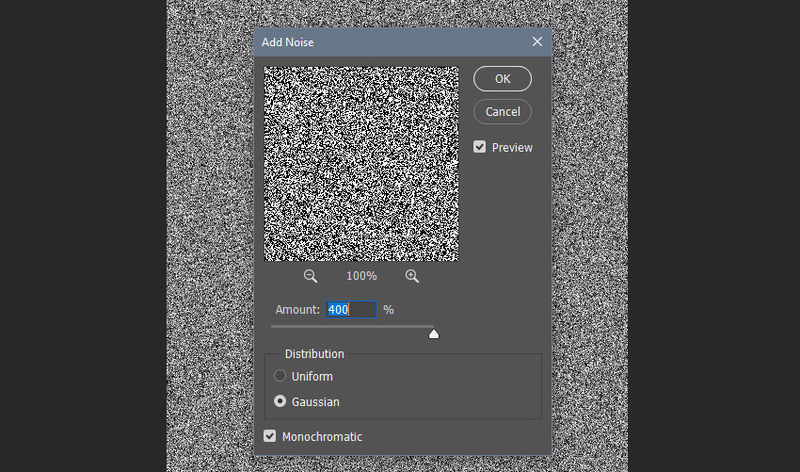 After that, you can delete the noise layer. 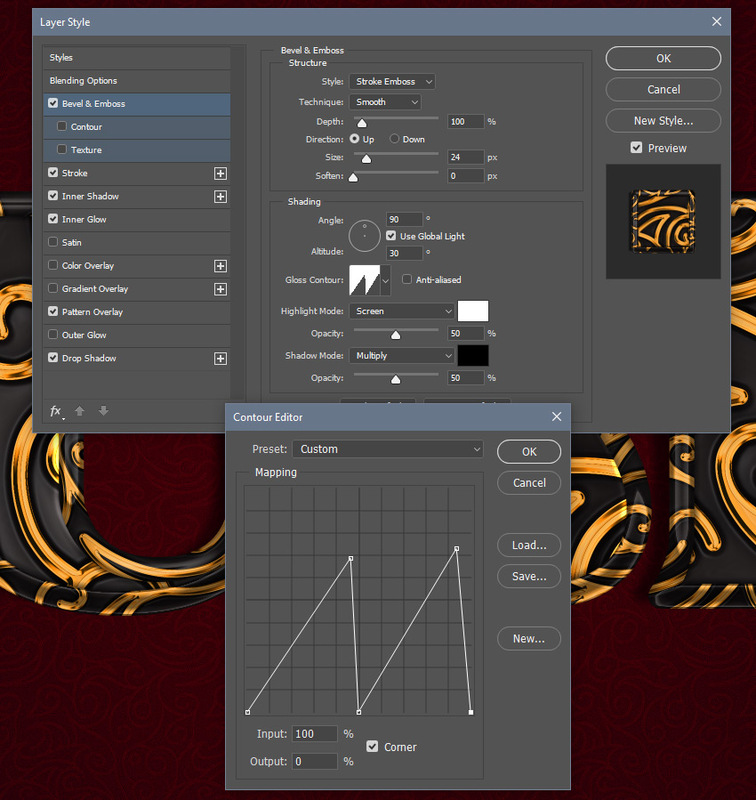 Control-Click on the thumbnail of the Radial layer to create another selection, and then click on the Add vector mask icon. 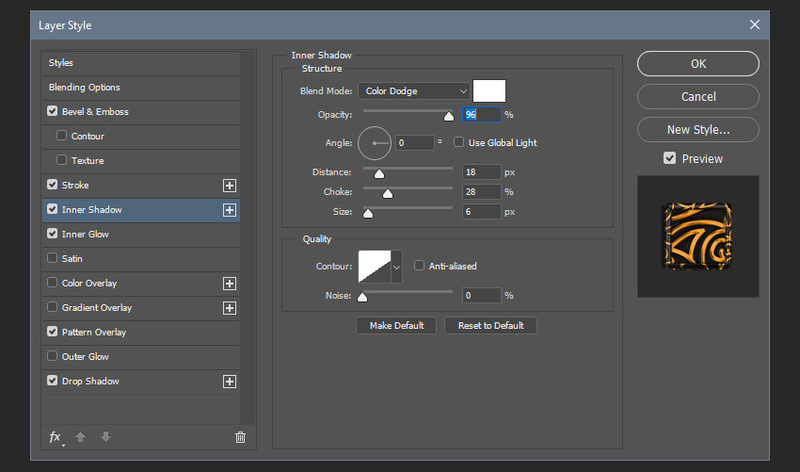 Now add a Gradient Overlay with these settings. 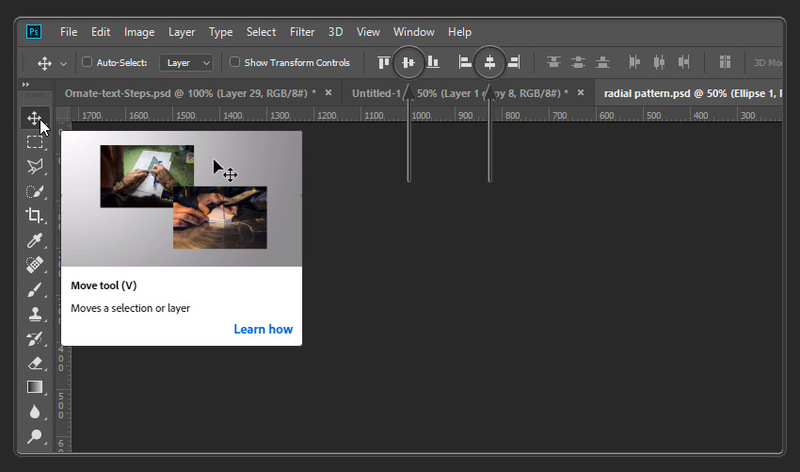 Then click OK to close the Layer Style panel. Go to Filter > Sharpen > Sharpen to add a sharpen filter. 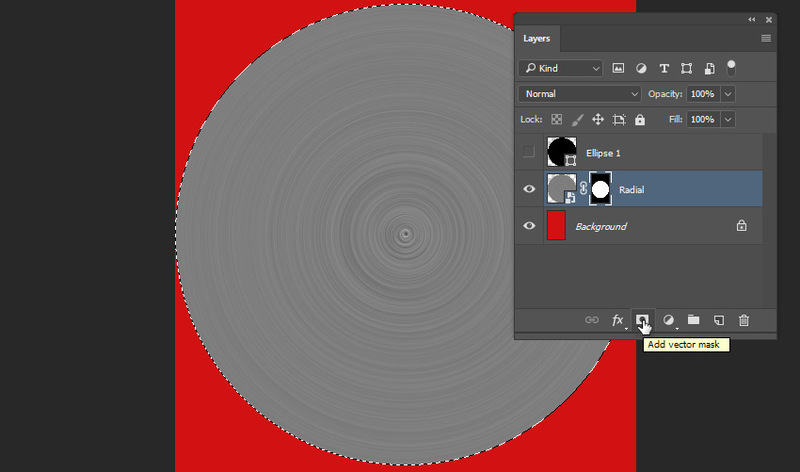 Then Right-click on the Radial layer and transform it into a Smart Object again. Create four copies of the Radial layer and place one copy in each corner of the document, aligning the center of the ellipses with the corners of the document. 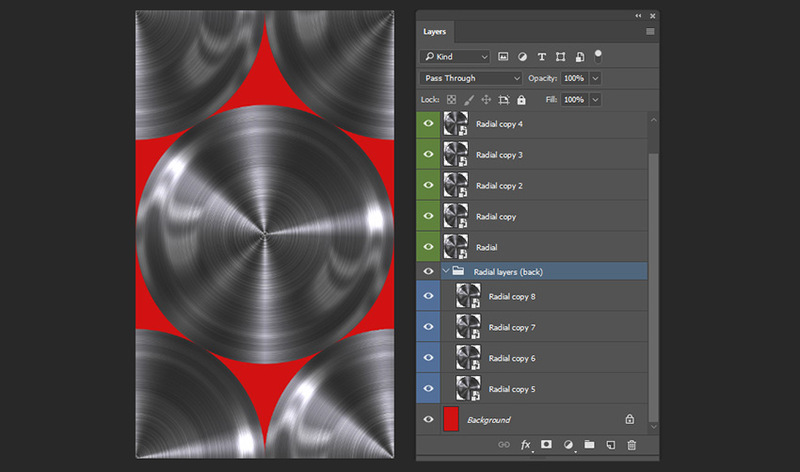 Select the first Radial layer and create four more copies, and then move these copies to the back of the original Radial layer. 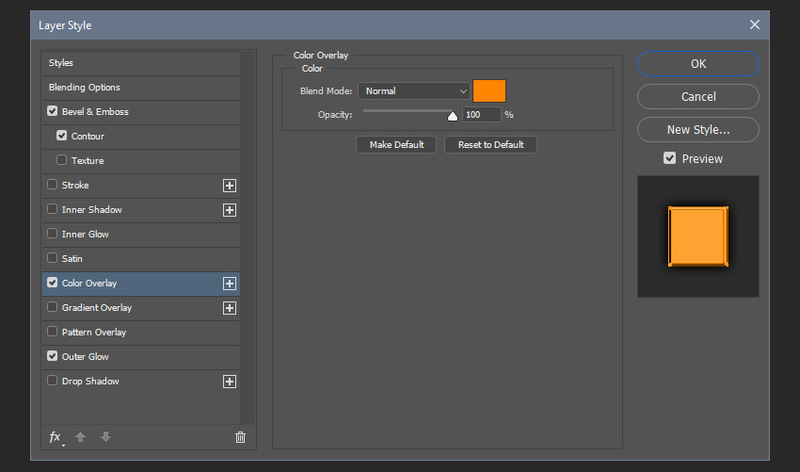 You can change the colors of the layer and group them to make it easier for you to identify the layers. Click on the rulers and drag two margins to the center of the document. Place one copy of the Radial layer on each edge of the document, aligning the center of the ellipses with the margins and the edges of the document. (The small circles in the next image represent the center of the ellipses). 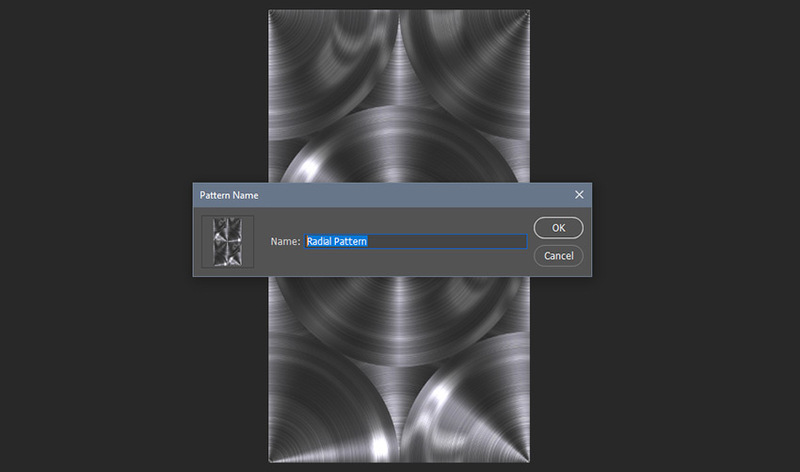 Go to Edit > Define Pattern and name it Radial Pattern. After that, you can save and close the document. 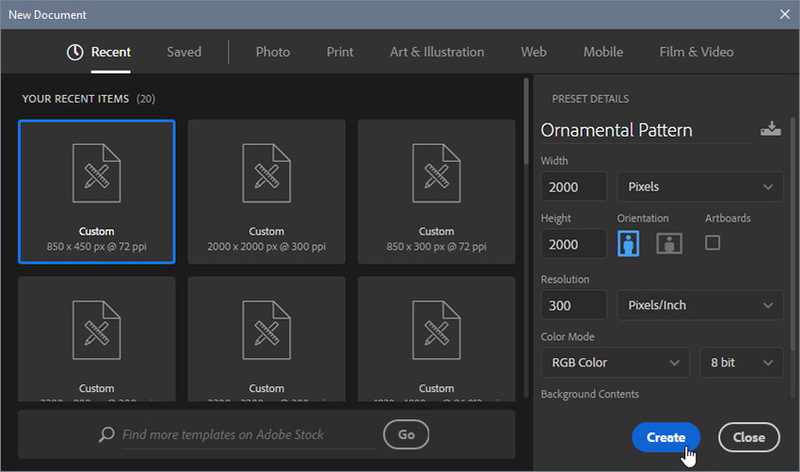 Create a new 2160 x 1025 px 300 dpi document with a dark blue background #132125. 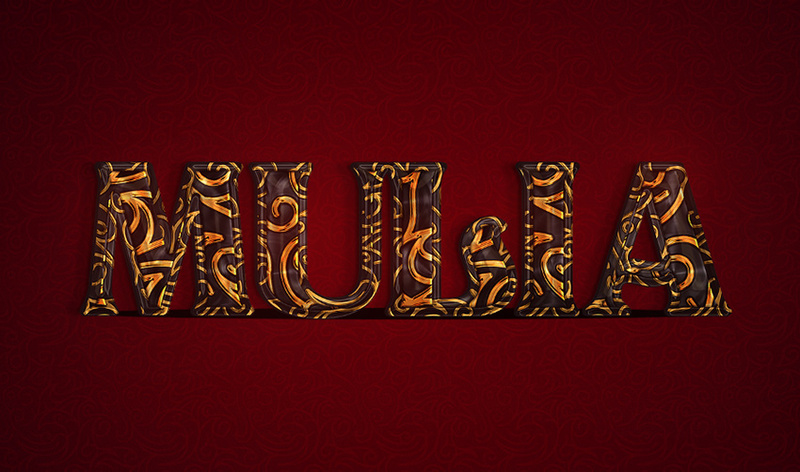 I’m going to name it Mulia, but you can choose any name you want. 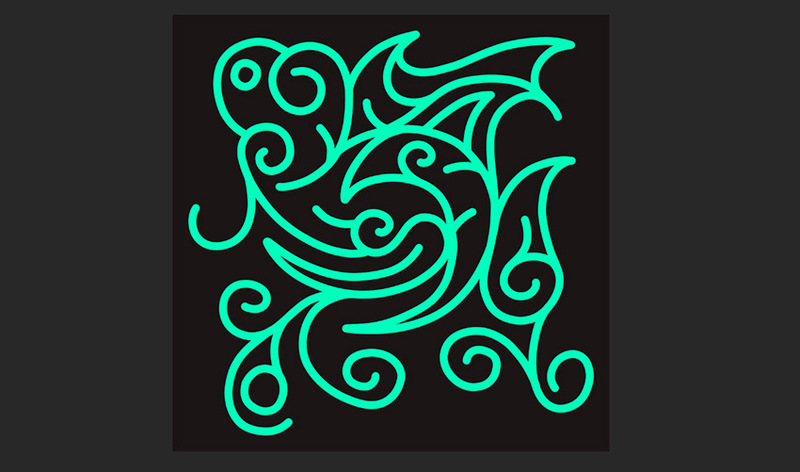 Double-click on the Background layer to unlock it. 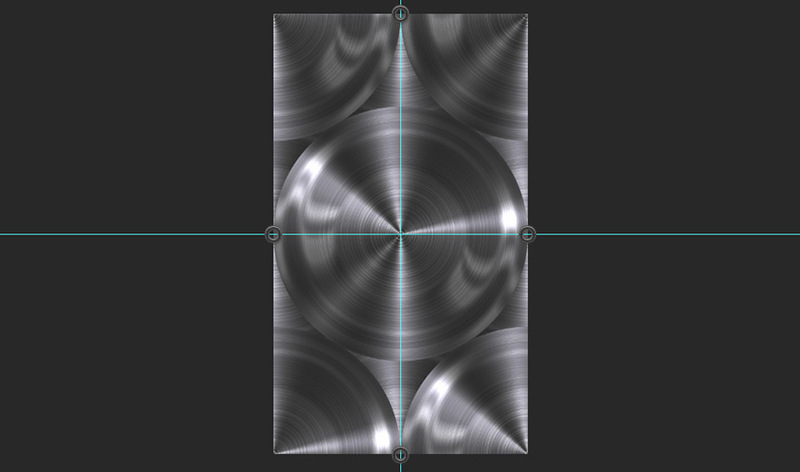 Then pick the Brush Tool (B) with the Soft Round brush and set its size to 2173 px and color to #365861. 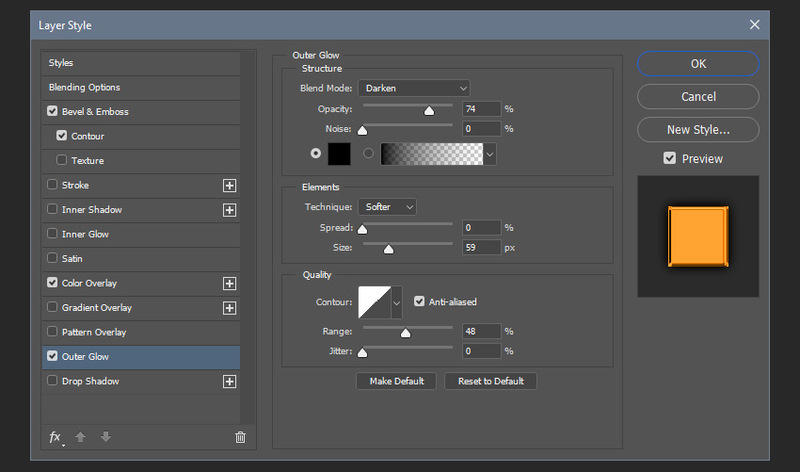 Convert the layer to Smart Object, and then go to Filter > Sharpen > Sharpen. 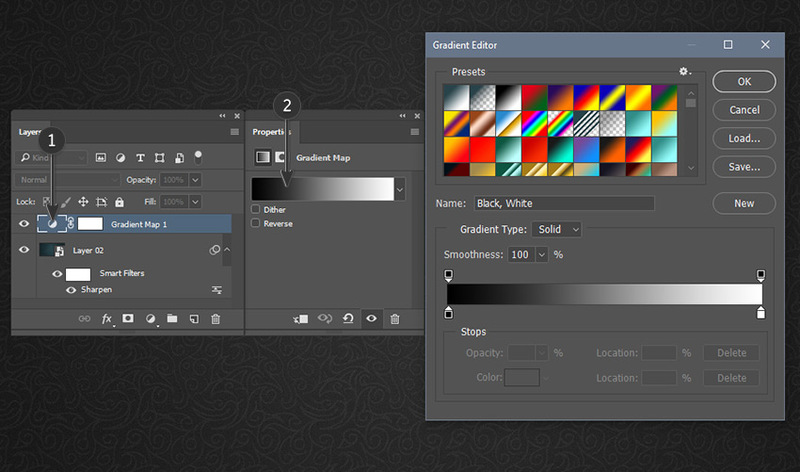 After that, go to Window > Adjustments and add a new Gradient Map layer. 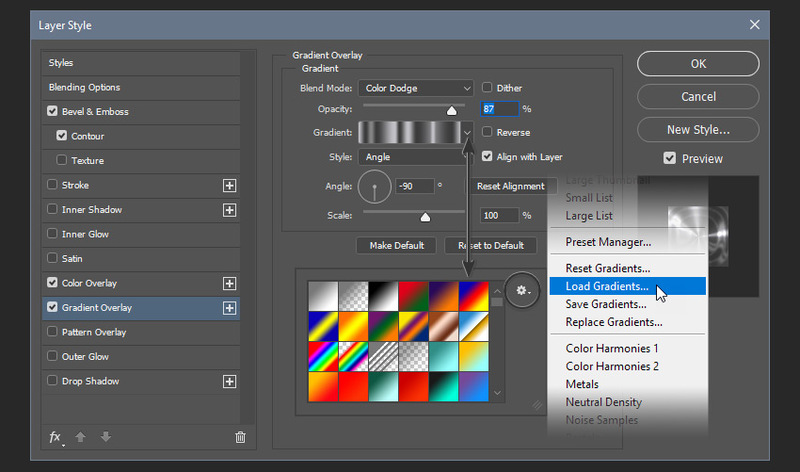 Double-click on the thumbnail of the Gradient Map layer to open the Properties panel. 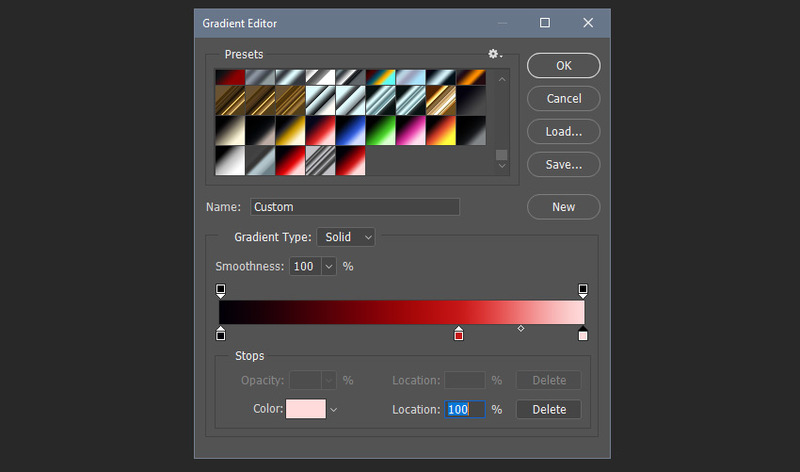 Then click on the gradient bar to open the Gradient Editor. 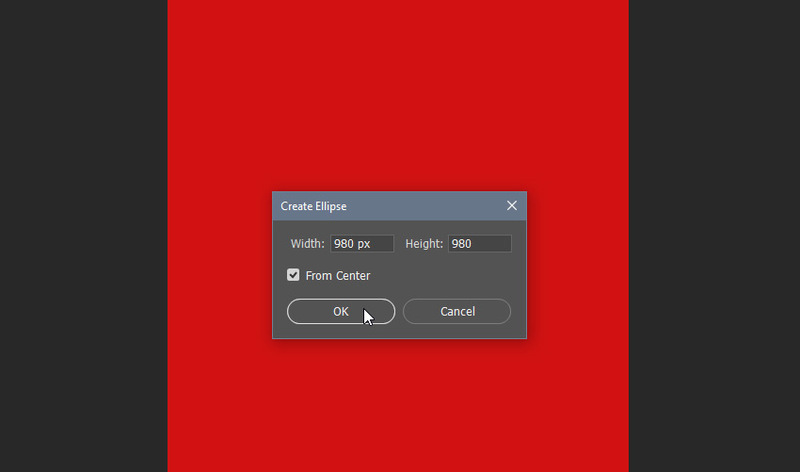 Pick the Horizontal Type Tool (T) and set the size of the text to 160 pt. Then choose the font Titania and write your text. 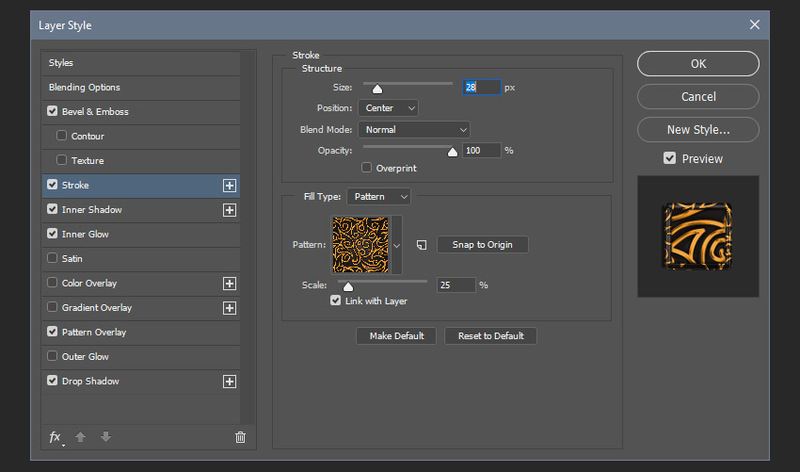 Tip: If you have the Pattern Overlay selected on the Layers panel, you can click on the text and drag to move the texture to a better position. 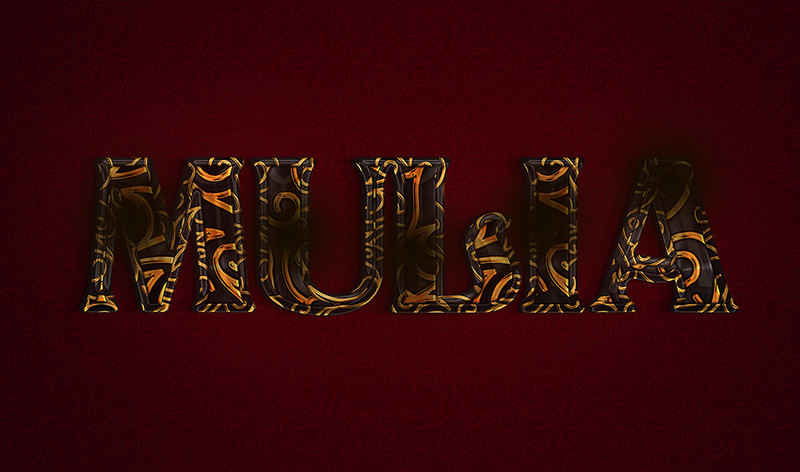 Create a copy of the text layer and name it Mulia TOP, and then right-click on it and choose Clear Layer Style. 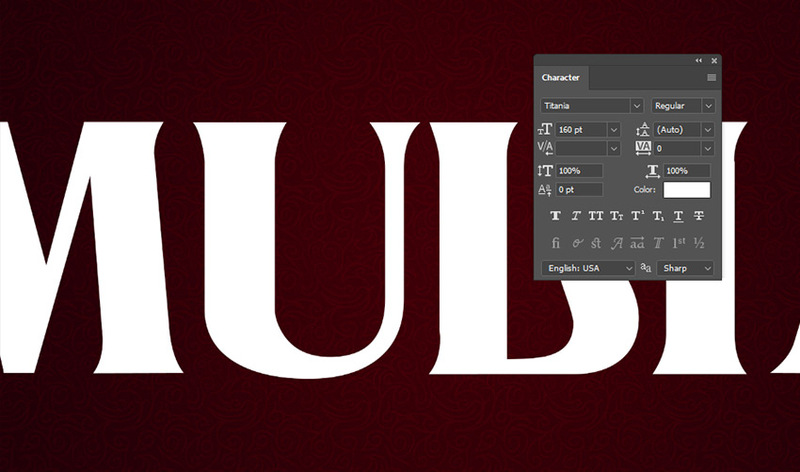 This step adds a very subtle effect to the text, and sometimes the text looks better without it. 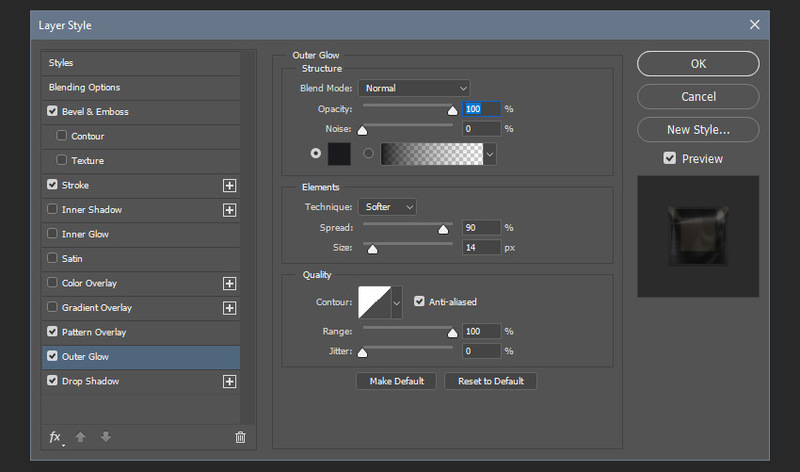 This Stroke effect is here just to show the Stroke from the first layer; that’s why the Fill type and Color don’t matter. Note that the Opacity is set to 0%. We’re almost done; it just needs a few tweaks. 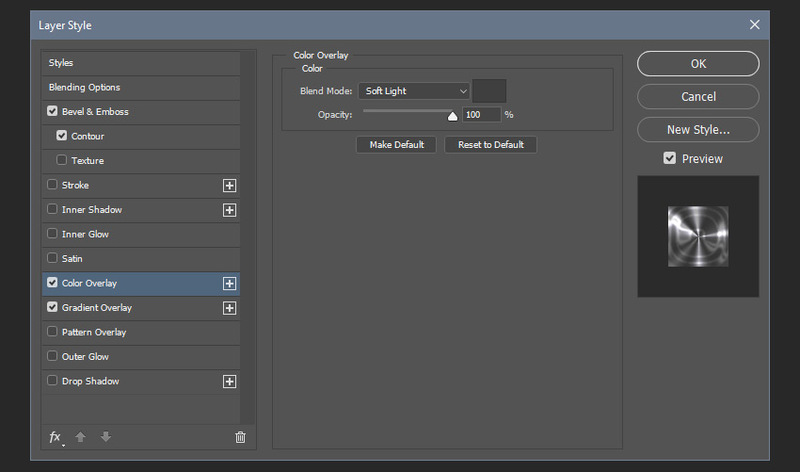 Select both text layers and convert them to one Smart Object. 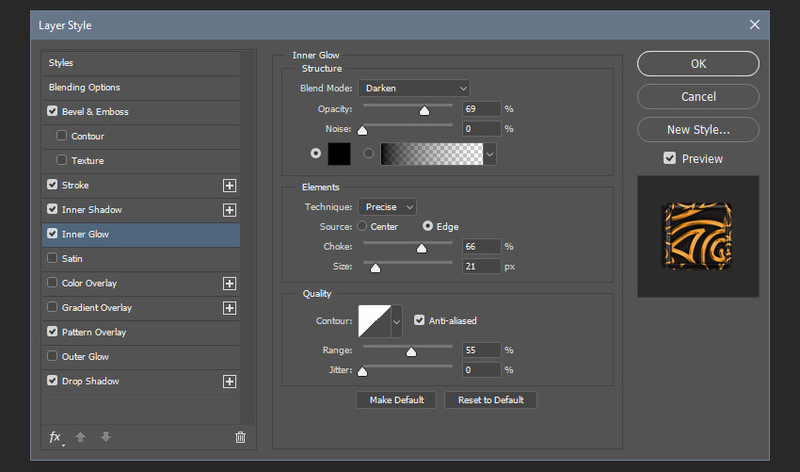 Then press Control-T and resize it to 55%. 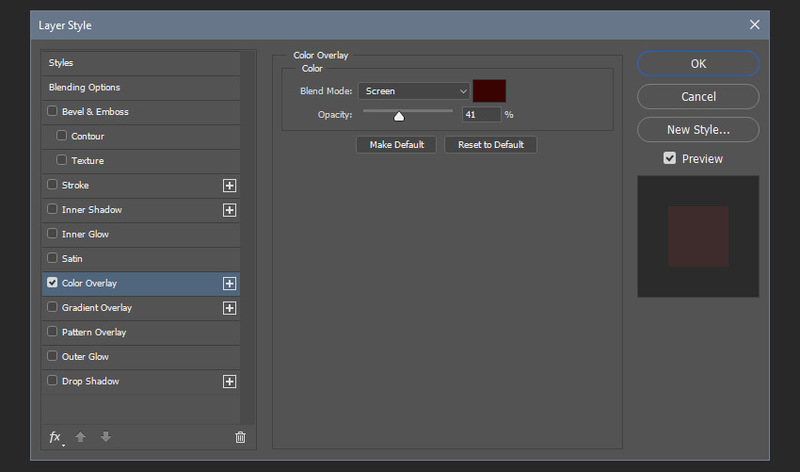 Create a new layer and set its mode to Screen. 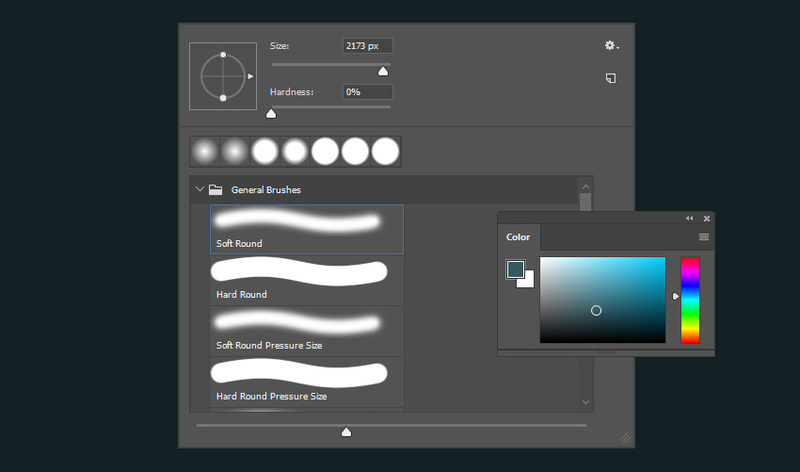 Then pick the Brush Tool (B) and select the Soft Round brush with a size of 473 px. Select the color #120202 and start clicking on the text to add some lights to it. The small circles in the next image represent where I clicked. 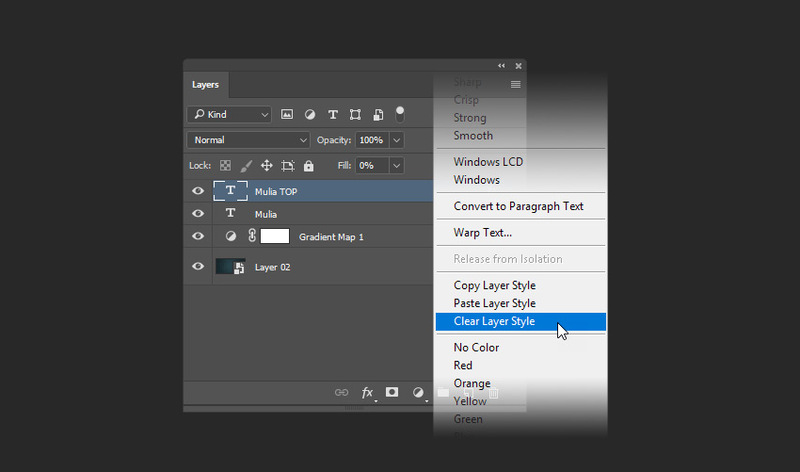 Create another layer and leave the layer mode as normal. 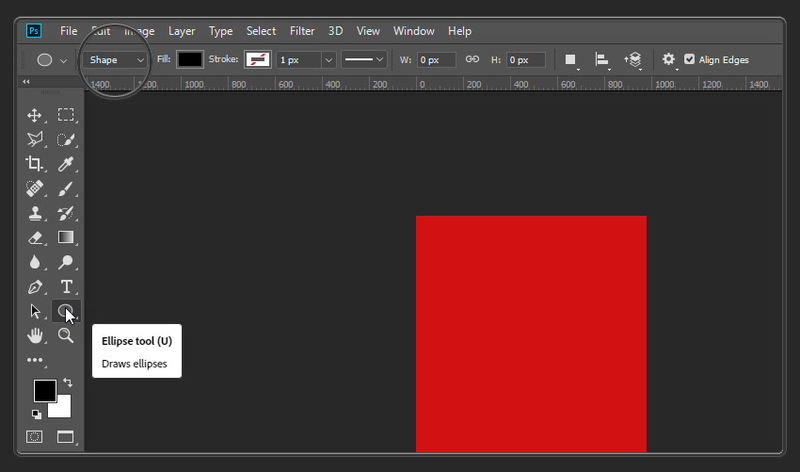 Then change the brush size to 213 px and color to #170c00. Start clicking on the text to add more lights (it will look ugly, but don’t worry). You just learned two ways to add a simple light effect to the image. 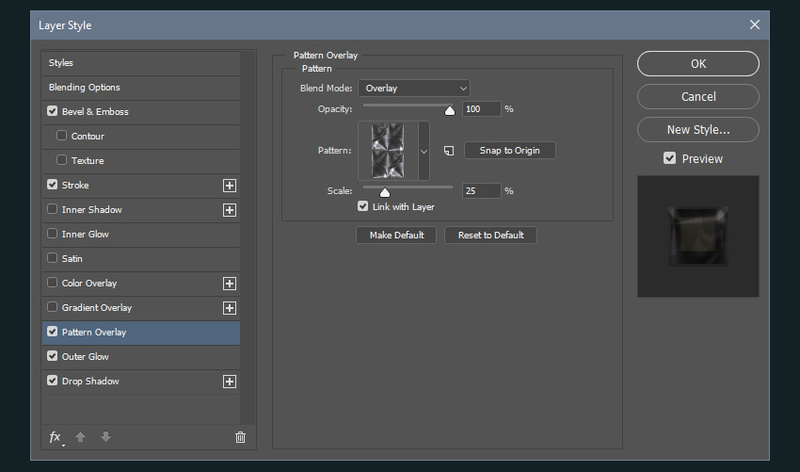 The first option is faster, and the second one gives you more control over the effect. Now we need to add a shadow to the bottom of the text. 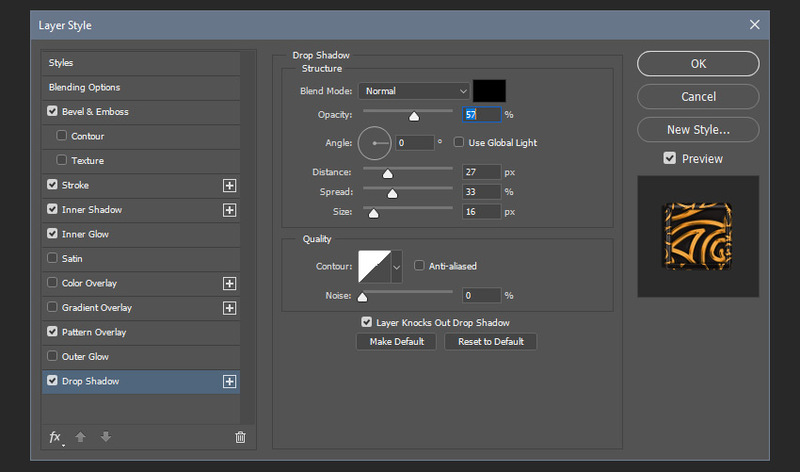 Create a new layer and name it Simple Shadow, and then move this layer on the layer panel and place it below the text. 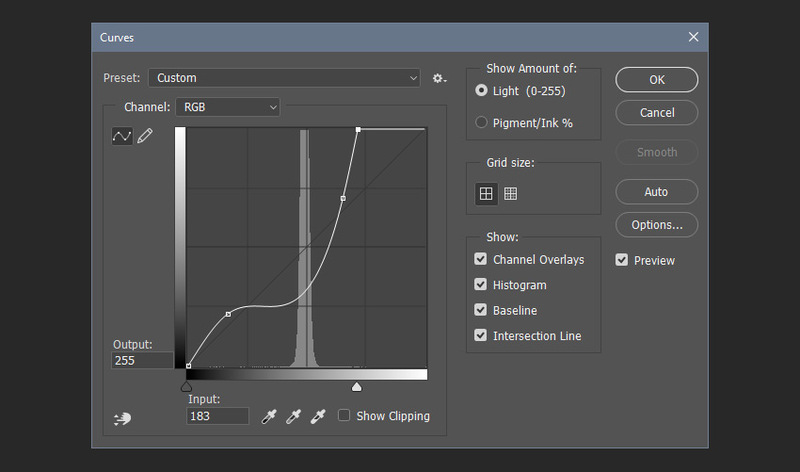 After that, pick the Ellipse Tool (U) and set the color to black #000000. 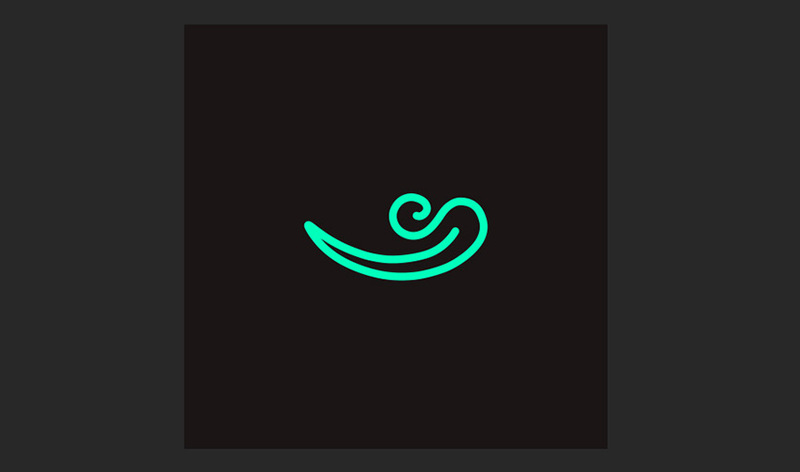 Then click below the start of the first letter and drag the mouse to the end of the last letter, drawing a very elongated oval shape below the text. 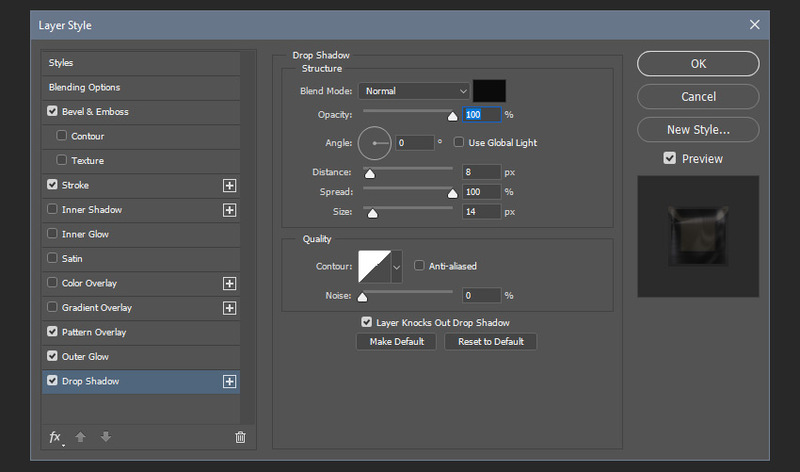 Convert the Simple Shadow layer to a Smart Object. 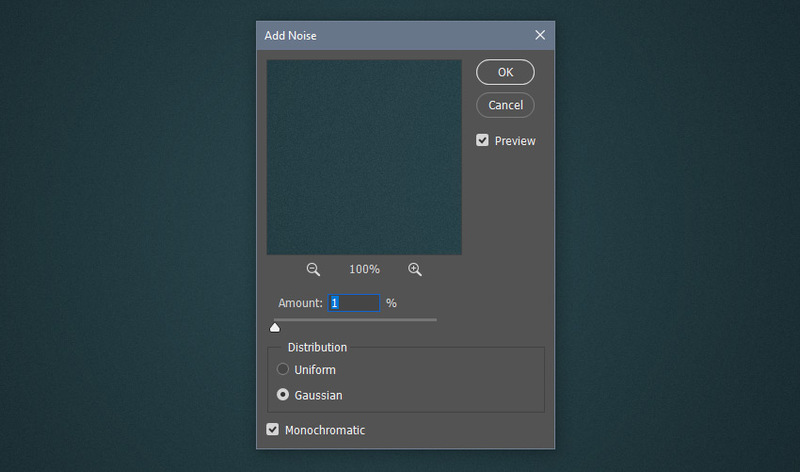 Then go to Filter > Blur > Gaussian Blur and add a blur with 6.4 px. 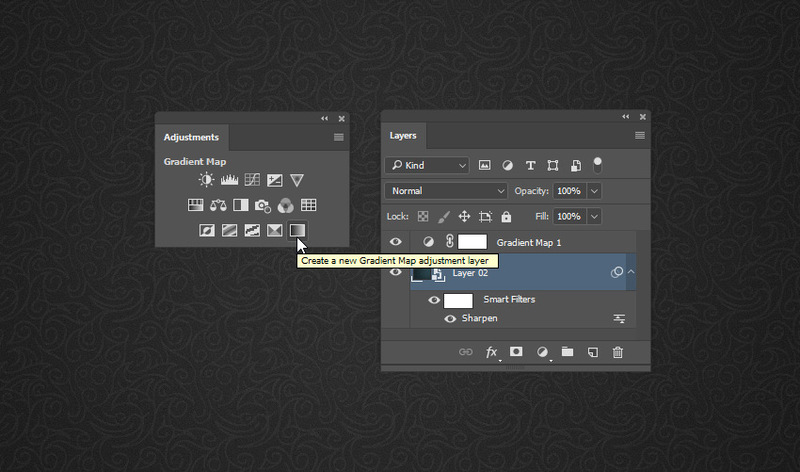 After that, change the layer Opacity to 55%. 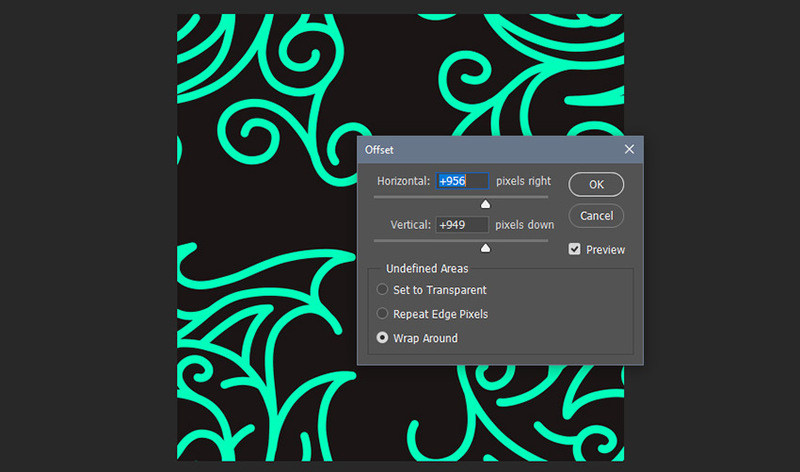 In this tutorial, you learned how to create seamless textures using the Offset filter. 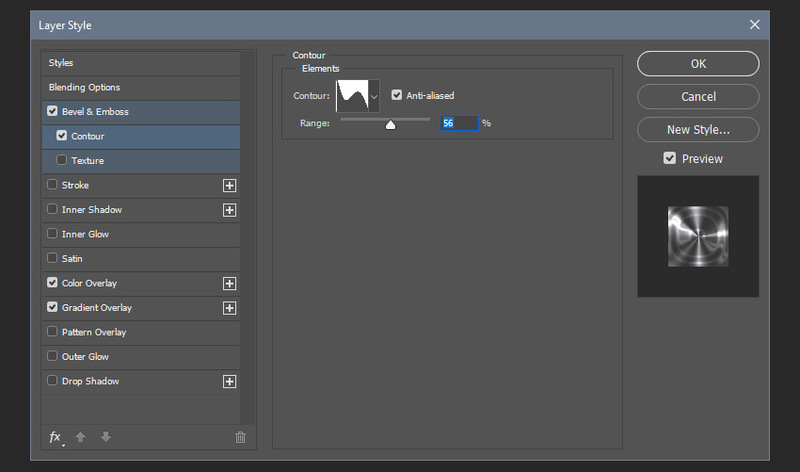 style effect, avoiding layer styles being “ended” by the borders. 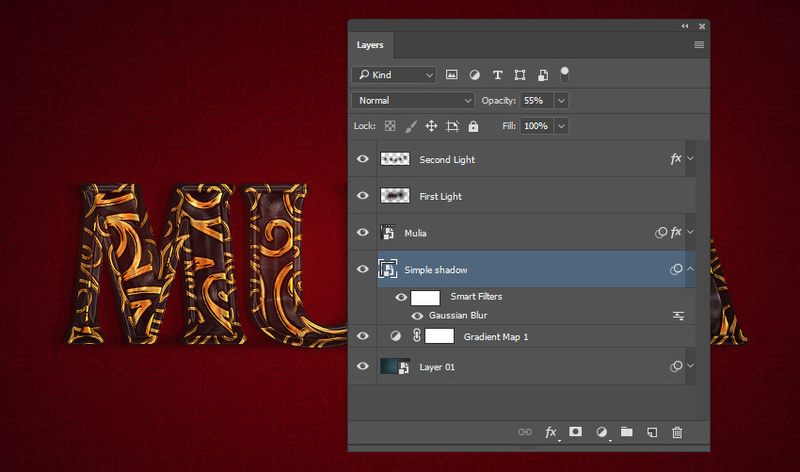 You also learned how to use textures with layer styles and complement that with another layer. computer will soon become slow. Remember that this text effect is completely editable. 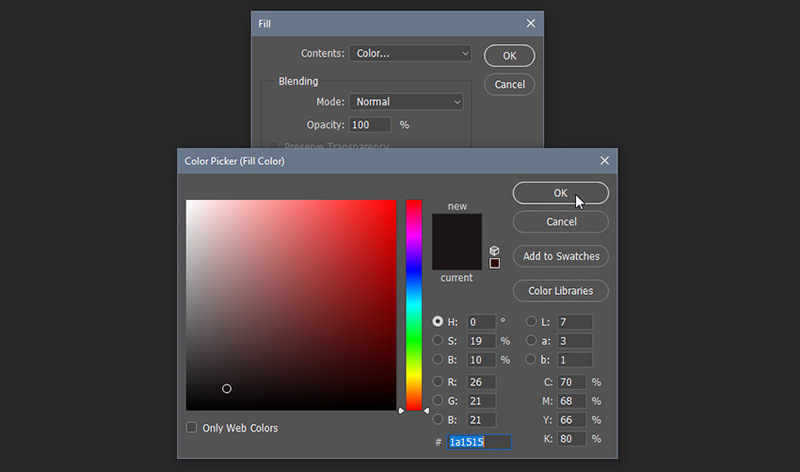 To change the text color, I recommend opening the text smart object and adding some Color Overlays or Gradient Map layers with Layer Masks. I hope that you’ve learned something useful with this tutorial!